Finance Minister Mangala Samaraweera will today present the Government’s Budget for 2019 under the theme ‘Empowering the People, Nurturing the Poor,’ which will set critical policies and priorities for an election year. The Finance Ministry has outlined ambitious targets for the delayed Budget 2019 with plans to increase public revenue to 17% of Gross Domestic Product (GDP) and shrink the budget deficit to 4.5% of GDP. This was a change from the deficit of 3.5% announced in January. The deficit in 2018 was 5.3%, which was higher than the 4.6% it targeted in Budget 2018. The Government has a target to reduce the deficit to 3.5% in 2020 but will find this a difficult goal to meet. The World Bank in its latest Development Update has put the budget deficit for 2019 and 2020 at 4.8% with the number likely to decline only after 2021. 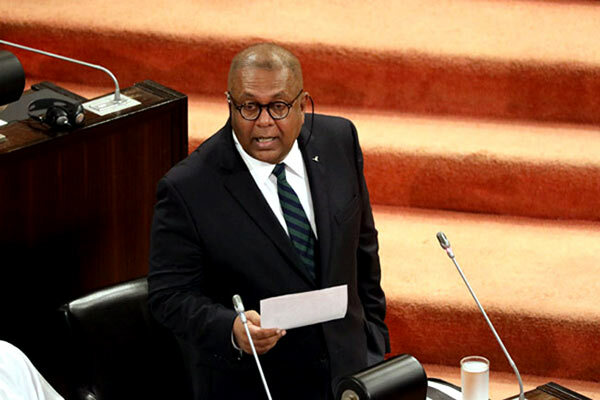 Finance Minister Mangala Samaraweera’s second budget, which he will present to Parliament today, will have other tough targets, including maintaining the debt-to-GDP ratio to just 70% and limiting recurrent expenditure to 15% of GDP. Capital expenditure will also be limited to only 3.5% of GDP, the Finance Ministry had said. Total public expenditure is estimated to be Rs. 4.5 trillion while revenue is expected to be Rs. 2.4 trillion. State Minister of Finance Eran Wickramaratne told reporters that the Government is also likely to include new policies to improve Ease of Doing Business, revise vehicle taxes and introduce policies to increase the number of women in the formal workforce. Yet large tax concessions and other relief is expected to be limited given Sri Lanka’s high debt repayments of $ 5.9 billion this year and limited reserves, which has limited the Government’s space to manoeuvre, according to experts. The Government received a boost on Friday when the International Monetary Fund (IMF) agreed to extend its $ 1.5 billion Extended Fund Facility (EFF) by one year and space out the remaining payments. Subject to the planned submission to Parliament of the 2019 Budget consistent with the EFF-supported program, the Board is expected to consider Sri Lanka’s request for completion of the fifth review in May 2019. The authorities are taking steps to complete all the pending actions and structural benchmarks for this review over the next few weeks. Tight monetary and fiscal policies, along with intermittent floods and drought, have led to growth slumping to a 17-year low of around 3% last year, while the rupee fell 19% mainly due to foreign outflows from Sri Lanka securities. The Budget was initially expected to be presented in November 2018 but was postponed due to the constitutional crisis which erupted on 26 October when President Maithripala Sirisena sacked sitting Prime Minister Ranil Wickremesinghe and appointed Opposition Leader Mahinda Rajapaksa instead. A Vote on Account was passed following the reinstatement of Wickremesinghe and Budget 2019 is expected to cover the last eight months of this year. The second reading of the Budget will be on 6 March with the vote to be held later the same day. The third reading of the Budget and the Budget debate will be from 13 March to 5 April with the final vote to be taken on the same day.